This work seeks to chart what happens in the embodied minds of engaged readers when they read literature. Despite the recent stylistic, linguistic, and cognitive advances that have been made in text-processing methodology and practice, very little is known about this cultural-cognitive process and especially about the role that emotion plays. 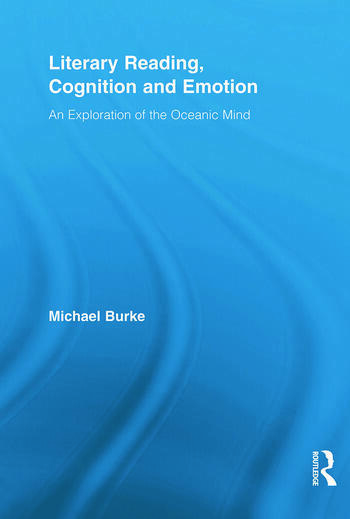 Burke’s theoretical and empirical study focuses on three central issues: the role emotions play in a core cognitive event like literary text processing; the kinds of bottom-up and top-down inputs most prominently involved in the literary reading process; and what might be happening in the minds and bodies of engaged readers when they experience intense or heightened emotions: a phenomenon sometimes labelled "reader epiphany." This study postulates that there is a free-flow of bottom-up and top-down affective, cognitive inputs during the engaged act of literary reading, and that reading does not necessarily begin or end when our eyes apprehend the words on the page. Burke argues that the literary reading human mind might best be considered both figuratively and literally, not as computational or mechanical, but as oceanic. Michael Burke is the Head of the Academic Core Department and is Associate Professor of Rhetoric, Pedagogy and English at the Roosevelt Academy Middelburg (Utrecht University). His publications include Contextualised Stylistics (with Stockwell and Bex).